Exercise Tiger was a series of operations off the South Devon coast in the spring of 1944, rehearsing for the forthcoming D-Day landings. Shrouded in mystery, one of these exercises ended in disaster for over 600 young American servicemen, as their operation was discovered by a patrol of German e-boats, which attacked, leaving two LSTs sunk and one badly damaged. The secret nature of these exercises, some claimed, led to a military cover-up and many families were not immediately informed of the nature of the deaths of their loved-ones. Over the months that followed, D-Day came and went, the war ended and there seemed little point in raking over this sorry affair. 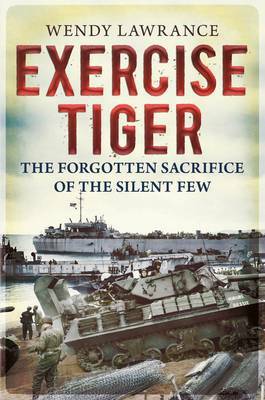 Exercise Tiger became a forgotten chapter in the annals of the Second World War. Using archive documents and images, this book recounts the history and personal accounts behind this tragic event, as well as examining the many subsequent conspiracy theories and exploring the evidence behind them.